You could read my Twitter feed which for the past few weeks has been larded with speculation about where former Baltimore Oriole and now much-prized free agent Manny Machado might be going. The White Sox have offered something, the Phillies are throwing “stupid money” around, but the smart money – hundreds of millions of smart money – is on the Yankees, who can afford whomever they want. You could also read about the 2019 Baseball Hall of Fame inductees, whose names will be announced later this month. Members of the Baseball Writers’ Association of America elect the members and many voters have already publicized their ballots. One thoughtful balloter offered not only his 2019 ballot, but also detailed thoughts on each one of his votes – nearly 7,000 words of thoughts. This is nearly 15 single-spaced pages of thoughts, or 14-and-3/4 pages too many. All I care about is this. Did you vote for Mike Mussina? You did? Good. We’re done here. Yankees closer Mariano Rivera will definitely be inducted this year, but it probably won’t be unanimous, because it never is. No Baseball Hall of Famer has been inducted unanimously. The closest was Ken Griffey, Jr. who received 99.32 percent of the vote in 2016. Three of the 440 voters did not vote for him. Seriously. What is wrong with you three? 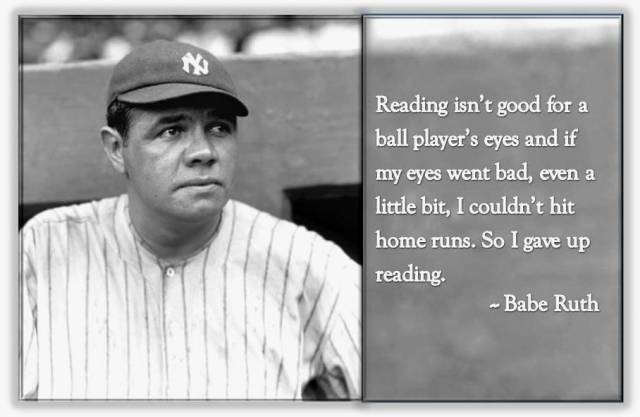 And, Babe Ruth didn’t come close to Griffey. He received 95.13 percent of the votes cast in 1936. Eleven of the 226 voters in 1936 didn’t vote for Ruth. Ruth received seven fewer votes than Ty Cobb. Look, I’m nobody. I don’t vote. But, if I did, I promise I would have voted for Babe Ruth and I would have voted for Ken Griffey, Jr. And, Mariano Rivera, too. And, Joe Torre did stay there and Mussina did get the last out of the game. 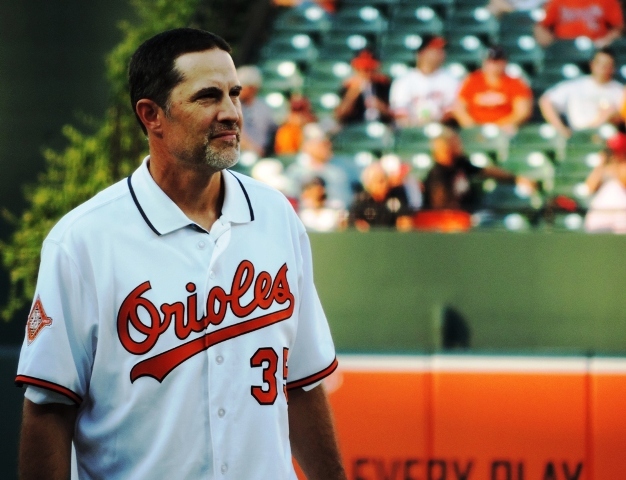 Mussina, five-time All Star, seven-time Gold Glover over 18 seasons with the Orioles and Yankees, has been on the ballot six years now and has come up just short. 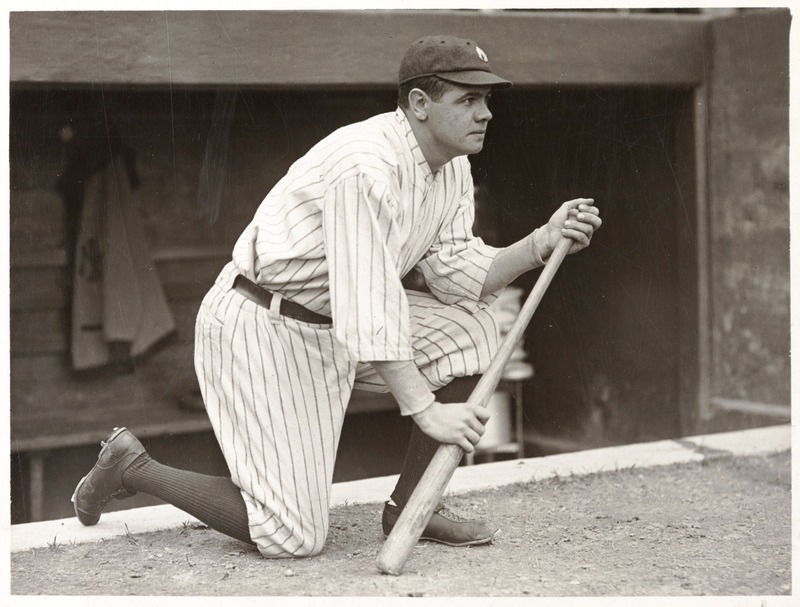 But, let’s get back to Babe Ruth for a sec. He received 95.13 percent of the votes cast for the Baseball Hall of Fame in 1936. Why would someone leave Ruth off their list? Did those 11 sportswriters think, yeh, Babe Ruths are a dime a dozen? Because here I am 83 years later assuring you that there are no dime-a-dozen Babe Ruths. There is just one. George Brett … George Brett! … received 98.19 percent of the votes in 1999. 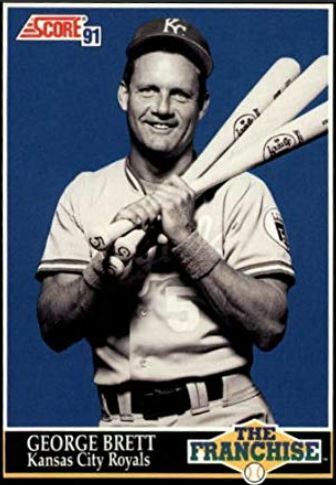 Math is not my strong suit, and maybe baseball isn’t either, but I can tell you that it seems absolutely nuts that George Brett – and 13 other players – entered the Hall of Fame by a greater margin than Babe Ruth. Look, Brett and Jones are fine Hall of Famers. Sure, Jones occasionally promotes hurtful and ridiculous conspiracy theories … but he also once admitted that he wasn’t the “sharpest tool in the shed,” which was sort of endearing. I’m just saying, seriously, people. 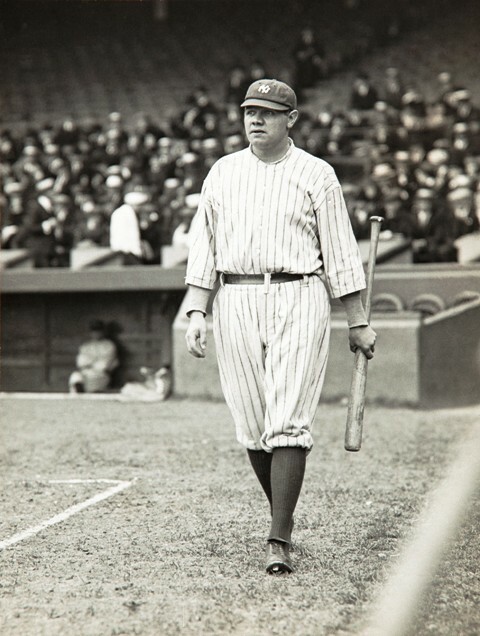 Babe Ruth. Eighty-three years from now who is going to be talking about George Brett and Chipper Jones? Not me, I promise you that. But, I bet they’ll still be talking about Babe Ruth. Go ahead. Watch it again. It’s so worth it. 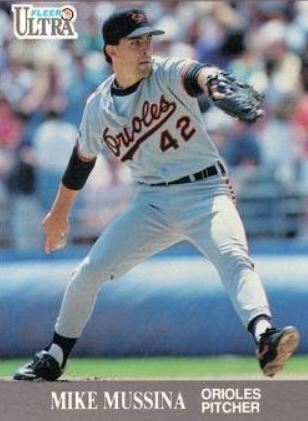 Mike Mussina. Baseball Hall of Fame, 2019. Let’s make this happen. This entry was posted in Baseball and tagged Babe Ruth, Baseball Hall of Fame, Mike Mussina by Jackie, The Baseball Bloggess. Bookmark the permalink. Loved the clip both times. Too bad I can’t vote. Thanks again Bloggess. With you almost all the way, Jackie. Larry Jones. Enough said. Wouldn’t have voted for him when Brooks Robinson and Michael Jack Schmidt set standards. I’m with you. Brooks got in with 92% of the vote. And, good grief, Willie Mays … 94.68% Maybe these baseball writers don’t understand how voting works. “No! Stay there!” is a real highlight. The man just wants to get the job done. And he did. Let’s hope the writers get it done now too. Mussina was so dependable, durable, and unflappable. I think that was the most emotion he ever showed on the mound. I never worried when Moose was an Oriole and came out to pitch. Never worried. I’ve worried for the Orioles ever since. I voted for Mike Mussina last year. The main argument against Edgar Martinez is this — all he did was hit. This was what relievers dealt with as well — all they did was pitch an inning or so. (I see you, Mariano Rivera.) But, his influence on games can’t be denied. 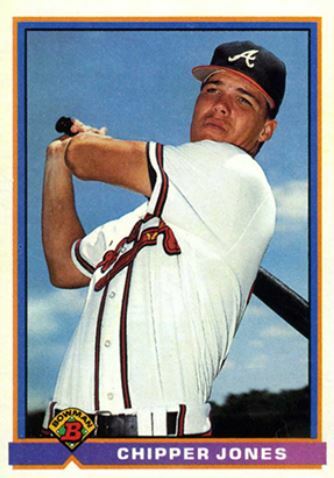 His lifetime BA is on par with Johnny Mize, slugging % aligns with Willie McCovey. His OBP slightly better than Stan Musial, his OPS is Frank Robinson-esque. And, his WAR aligns with Ernie Banks/Tony Gwynn. This new era of baseball is heavy on specialists … so I think the Hall needs to continue to recognize that. Thanks for sharing your thoughts … we part ways on steroids, but I know that it’s a difficult discussion. That said, if the Hall has no problem tacking up a plaque for Bud Selig, who is the true “whistle past the graveyard” steroid king, I don’t see how they can argue against those who used steroids during his tenure. He didn’t care, so why should they? But Edgar Martinez’ influence on games can be denied, That’s because he can’t influence games he’s not in. Here’s what the stat-geeks miss on Edgar Martinez. The most important ability is sports is avail-ability. So, a guy who “just hits” needs to put up the “magic numbers” (HR/RBIs). But another important one is at-bats. There’s no way that a designated hitter who is supposedly so important to a line-up should have less than 500 ABs in a season. Martinez’ durability issues ensured he only cracked that mark in 7 of his 18 seasons. That’s a great point on Selig. Of course, his induction wouldn’t have anything to do with the amount of money he made for all the owners during his quarter-century as “acting” commissioner. Great column! The HOF is such a joke. Having said that, I absolutely love it. The fact that nobody has ever been a unanimous selection is proof that the system is broken and that people are idiots. I’m voting for Mike Mussina this year. I wish I had a vote. Does my annual HOF column on http://www.dutchlionsports.com count? That Chipper Jones tweet remains one of my favorite tweets of all time! And he’s certainly a HOFer. He’s probably the 2nd or 3rd greatest switch hitter ever!